Nothing comes close to this and it could have only been conceived by an imaginative mind bereft of inhibition and fear. 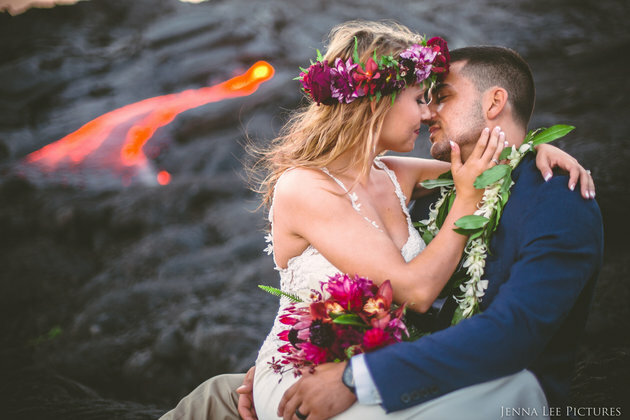 Enter Jenna Lee, a photographer who sought and got a couple daring enough to agree to a wedding shoot right on a volcano transversed by molten lava. 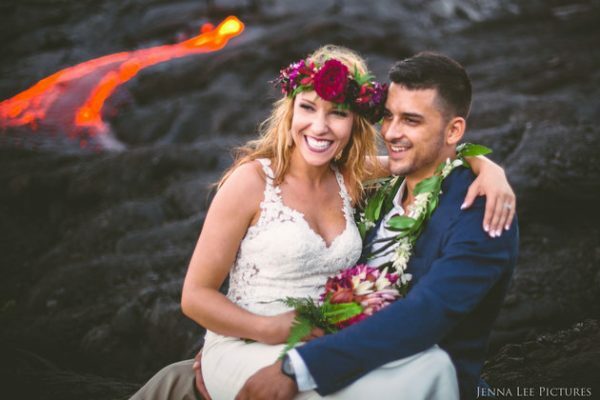 The volcano, in Hawaii’s “Kilauea volcano”, played host to a display of love, bravado and a seemingly foolish risk worth the eventual outcome. 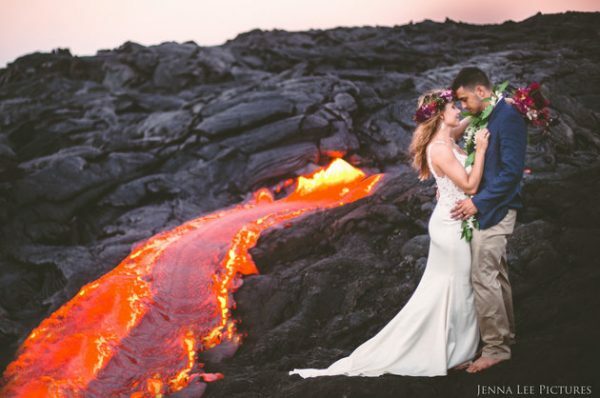 Right when the lava began flowing into the ocean on Hawaii’s southeastern coastline, Alex and Laura, barefeet and love-filled, stood beside 2,000-degree molten lava for Jenner’s clicks. 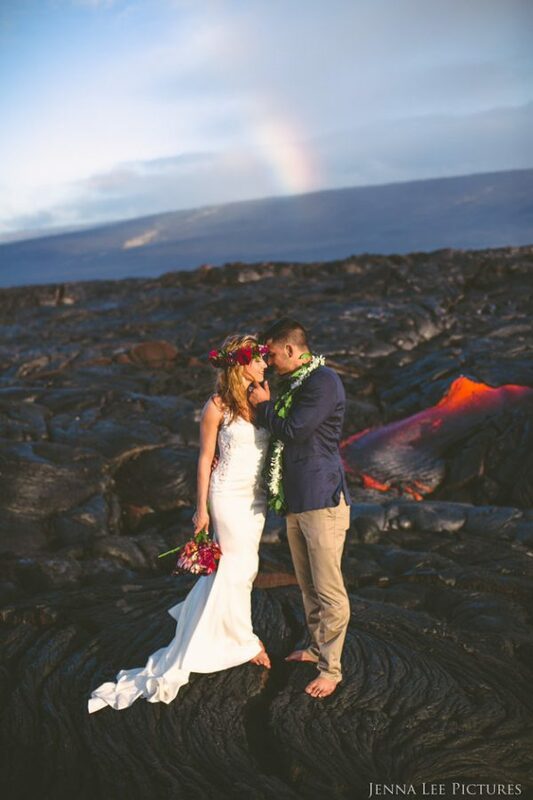 “As [the lava] bubbled toward the coast, small little rivers of magma would break away and glow bright red before cooling and crusting over. 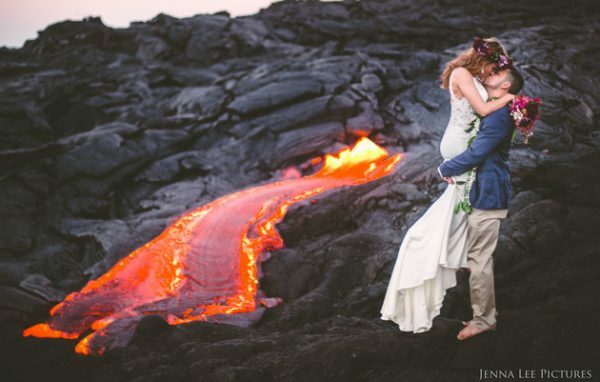 You could feel the heat radiating from within”, Jenner told Huffington Post.